Last year My daughter got transfer to delhi. And she didn’t get gud food in her PG. So for her& relaxing myself from my work.. 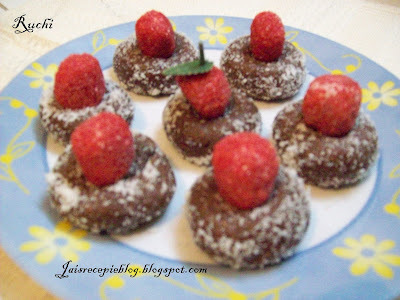 I started My recepie Blog... But now through blogging I got so many lovely friends…And Lovely new recepies..I become a Gr8 fan of all of your recepies.. I learnt a lot through my blogger friends and Still learning from them.Thank you so much for all your support, interaction, loveliness and encouragement. Crush biscuits finely to make a fine powder. Sieve and keep aside. Cream butter in a medium bowl. Add the fine biscuit powder, the cocoa powder and the condensed milk. Knead gently into a smooth dough. Make small balls. Roll in desiccated coconut and press with gems chocolate or with cherry/ strawberry or Form into balls and roll in the chocolate sprinkles. Refrigerate for a couple of hours for best results. These will store for up to a week in an air tight container. Yummy! Marie choco balls Ready. At the outset, my congratulations for your 100th post..23 years of cooking experience...Wow wonderful..You must be expert then..Thanks for sharing your delcious and innovative recipie..
Congrats on your milestone!...it must be really great to be recording your recipes this way for your kids! Congratulations on hitting a century! Choco balls are so tempting. Happy New Year to you and your family. 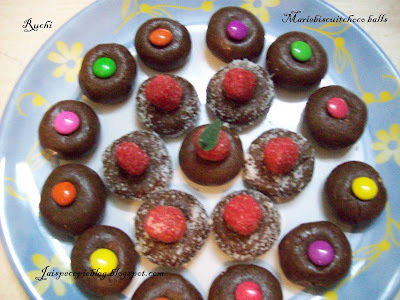 Congrats and wishing u a very happy new year, Choco balls looks soo.. yummy and mouth watering. wow this is a wonderful post and I got few tips from your early lines.... Hope you understand. 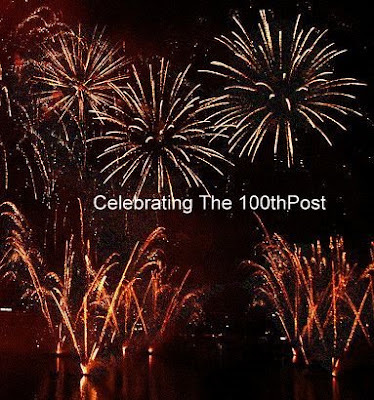 Coming to your blogging, congrats on your 100th post. This is really new recipe for me. Will try this soon. wow.. cool. i would love these. surely will try. i am not gettng updates of your recipes in my reader. don't know why. Congratulations dear! An award for you at my blog. will surely try and inform u when i post it! Thank u Srivalli & Priar welcome Here..& thanks for wishes..
Congrats! These looks delicious and lovely! Wishing you a colourful, happy and prosperous new yaer! Your choco balls look inviting. Good start for the New year. Happy New Year and Happy blogging! This is amazing! Never heard or had the innovative spirit to try it out before. I am surely making this sometime. Thank you Navita welcome here..
Congrats on your 100th post and love ur recipe too! Congratulations!!!!!! It tastes yumm and awesome presentation.